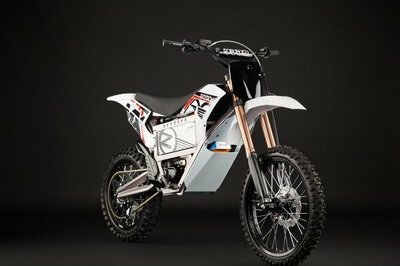 The Husqvarna TE125 is a new street legal dirt bike created for young riders. It comes with a pretty aggressive style, 21 inch front and 18 inch rear tyres and a 9.5 liters fuel tank. It is powered by a single cylinder, four-stroke, 124.45 ccm, liquid cooled engine which is kept in leash by a six speed constant mesh transmission. The engine is mounted on a monobeam in Cr-Mo steel frame with a circular cross section and rear seat rail, also in steel. To be able to deal with tough terrains without backing down, the bike needed a set of capable suspensions. 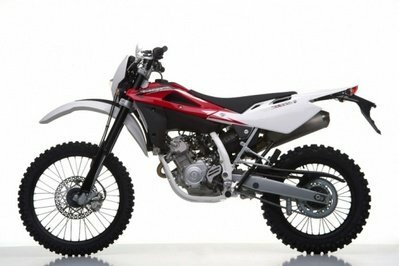 Therefore the TE125 comes with a 40 mm front fork with 260 mm of effective stroke, while out back there is a single shock absorber with adjustable spring preload. The motorcycle’s speed is kept under control by front floating calliper double piston brakes with a disc diameter of 260 mm, and rear floating calliper brakes with a disc diameter 220 mm. Hit the jump for more information on the Husqvarna TE125. 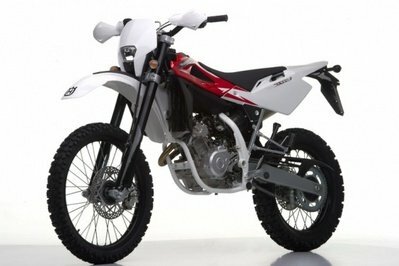 The TE125 is the new four stroke 125 cc model from Husqvarna, aimed at young fans of the brand. It inherits a look that is particularly aggressive and appealing, reflecting the style of the bikes used in races by the official Husqvarna team. The single overhead camshaft (SOHC) 4-stroke, liquid-cooled 124.45 cc engine is the same for both versions, TE and SMS4. 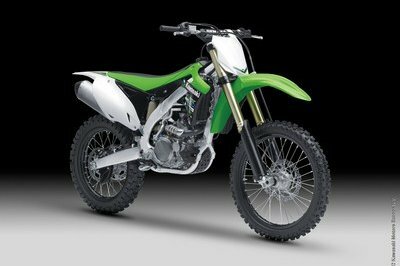 Cylinder bore and stroke length are 52 mm and 58.6 mm, with a compression ratio of 11.2:1. 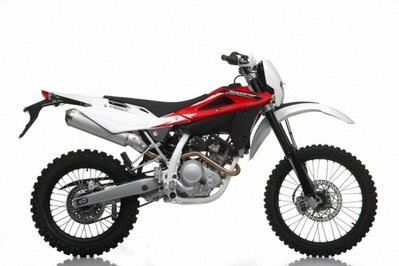 The 125 cc engine ensures reduced emissions and consumption and is rated EU3. It has a Keihin 29 mm carburettor and electric ignition. The lubrication is wet sump with claw pump and cartridge filter. 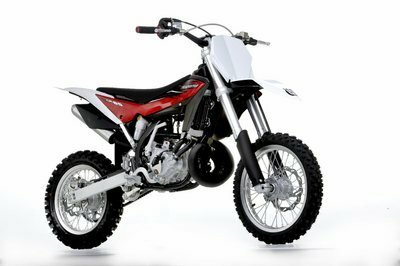 The front suspension forks have a diameter of 40 mm and 260 mm of effective stroke. The rear suspension has a single shock absorber, with adjustable spring preload. Safety: the front brakes are floating calliper double piston with a disc diameter of 260 mm, the rear brakes are also floating calliper, with disc diameter 220 mm. The frame of the new 4-stroke, 125cc model is a monobeam in Cr-Mo steel with a circular cross section and rear seat rail, also in steel. The new 4 stroke model has greatly reduced weight, only 117 Kg, making them particularly manageable and easy to handle in every situation. 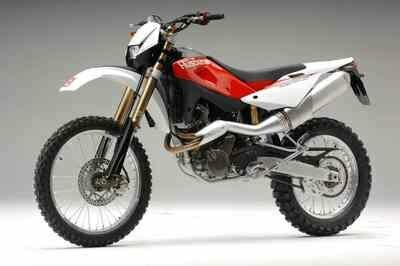 The enduro has a 21" front wheel and 18" rear, just like the racing Husqvarnas. The TE 125 is a completely new bike, so it features the latest technologies developed by Husqvarna. The bike is aimed at young riders and in terms of style it draws inspiration from the bikes used in races by the official Husqvarna team. 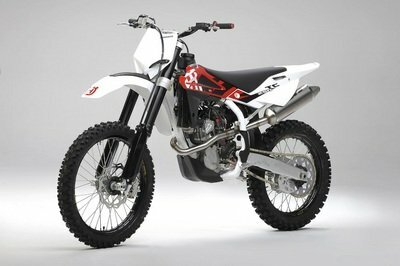 The TE 125 is well built and all its mechanical parts are close in design and aesthetics to its bigger brothers. As far as riding position is concerned, the 36" seat height is pretty tall, and the pegs are also a bit high on the frame. Like any 125 cc bike, the TE won’t impress you with its speed, but the engine has enough grunt to help you reach almost any place without problems. On the other hand, compared to some of its rivals the Huqvarna TE125 is a bit heavy. However, given the fact that this model intends to be a street legal, economical stripped down version of a competition bike its pedigree is acceptable.